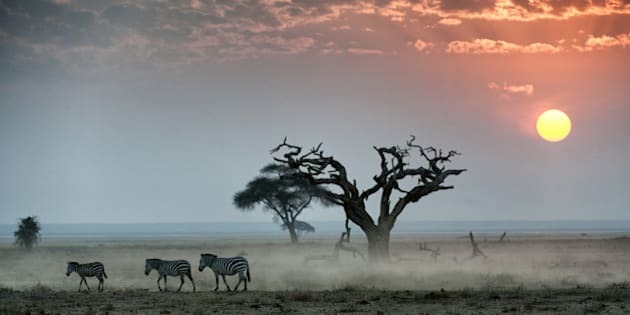 Burchell's zebras walking across dusty plain at sunset, Amboseli National Park, Kenya. Got a bad case of the travel bug blues? We hear you. Just when you thought you didn't need another excuse to pack your bags and buy a plane ticket, The Huffington Post Australia went ahead and spoke to some travel bloggers about their favourite destinations (and the places they're still desperate to visit). So get out a pen and paper (or, let's be real, your phone) and add these to your travel bucket list, stat. "Ho Chi Minh City (formerly known as Saigon) is one of the biggest cities of Southeast Asia, yet it still remains as one of the best value destinations in the region. "Street food is a way of life here, and bowls of soup can still be found for a dollar. "After many years of under-investment there is a massive amount of development happening at the moment, including a metro system and multiple skyscraper projects. "Now is a good time to go before much of the colonial heritage is lost and street food is still on the street." "I visited Namibia last year to tour the filming sites of 'Mad Max: Fury Road'. The film was set in the desert near Swakopmund, which in itself was an incredible destination to travel to. We drove near the Skeleton Coast but we didn’t have time to visit. I would love to go back and explore the barren coastline where sand dunes meet the sea." "Put Machu Picchu right to the top of your bucket list now! It was on mine for a solid ten years and finally seeing it in the flesh (even with the build up of crazy high expectations) did not disappoint. "It is utterly mind blowing that the incas built a city fully equipped with an irrigation system up in the clouds. It's a must-see-with-your-own-eyes experience of a lifetime. 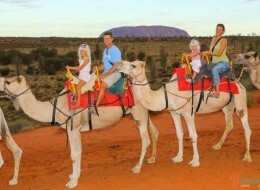 "Sure, it's jam packed with tourists and it's on the pricier side of things to do but it's totally worth it. I guarantee you will sit there jaw dropped in wonder at this truly inspiring man-made feat!" "Holding first place on my bucket list at the moment is JAPAN. I'm chasing an authentic love affair with my favourite cuisine in the world, sushi! "I'm fascinated by this richly unique culture and the diversity it has to offer. I long to wander the streets with Harajuku dolls, dance under the cherry blossoms of Okinawa and ski the untouched powder of Niseko. And if you're unfamiliar with all of the above, I highly recommend a Google image search. "So excuse me while I go and check out flight prices to Tokyo." "For us, you can't beat Africa as the ultimate bucket list destination. We backpacked from Uganda to Cape Town and it was the most amazing experience and adventure we've ever had. "The people are so warm, the scenery is stunning and you can't seeing the animals in the wild. It's hard to narrow it down to one country, but if we had to choose one in Africa, it would be South Africa." "The first thing on our bucket list at the moment is a road trip across the USA. We're planning on starting it June this year and travelling for one to two years. We can't wait to explore the national parks and unplugged secrets. America is so diverse and stunning, we love the culture and people and it's a place that calls us to come play!" Follow Caz and Craig on Instagram. "Rovaniemi, Finland. I mean the real Santa lives here, why wouldn’t you go? Plus their are husky sleds, reindeer rides and you can take a snow mobile out to see the Northern Lights. It’s a pretty magical place and worthy to be on any bucket list. "But.... it ties so closely with Banff, Canada. 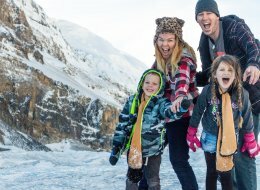 "The Icefields Parkway is the most scenic drive we have ever taken. Glaciers, mountains, lakes. It’s breathtakingly beautiful in the most natural sense of the word. Put it on the bucket list to be stunned and amazed." "I don’t know what it is that is drawing me in, but that Blue Lagoon looks so luscious to lie in and the scenery so spectacular. Top of my list. But I do have a long list." Follow Erin and her family on Instagram.